Mt Everest holds the reputation of being the world's tallest mountain and it also has claimed several lives of people who tried to scale it. It is a treacherous hike and many climbers are thus forced to return midway. While some succeed, many unfortunate ones lose their lives while climbing the tallest peak. As the glaciers atop are melting due to climate change and the onset of spring, a lot of dead bodies are now left exposed. The Khumbu Icefall and South Coll areas have exposed many dead bodies. And to move these bodies is an extremely difficult task. Mount Everest Turns Into World's Highest Rubbish Dump! 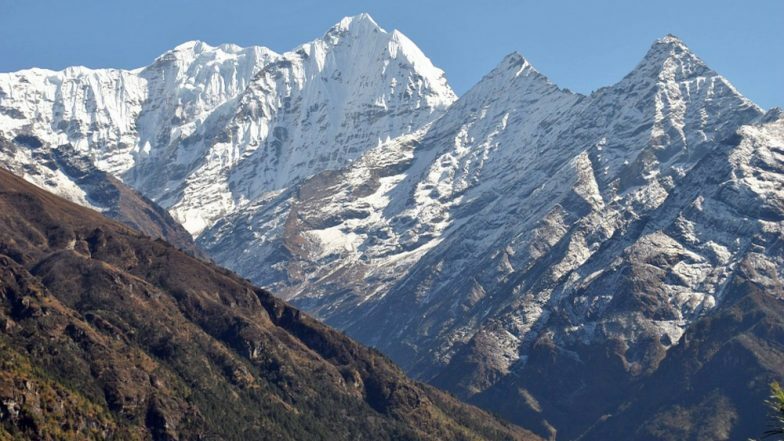 More than 300 mountaineers have died on the peak and two-thirds of bodies have still not been recovered. These bodies are being removed from the Chinese side of the mountains. Ang Tshering Sherpa, former president of Nepal Mountaineering Association told the BBC, "Because of global warming, the ice sheet and glaciers are fast melting and the dead bodies that remained buried all these years are now becoming exposed." Some of the bodies who recently died have been brought down but the old bodies remain buried under the thick snow. As glaciers melt, more and more bodies lay exposed on the way. One of the major challenges to bring back the dead bodies is the Nepal government's law. Normally, government agencies get involved when it comes to dealing with dead bodies. But the task hasn't exactly been on the government's priority list. According to experts, getting a dead body down can cost anywhere between $40,000 and $80,000. Australian Mountaineer Steve Plain Climbs Seven Peaks Including Mount Everest in Just 117 Days! In the last few years, parts of dead bodies of climbers have been found at the base camp itself. Such sights can also affect the climbers who want to scale the mountain further. The rising number of dead bodies appearing is a major concern once again.